Welcome to the second segment in our fall trend series! Today’s featured trend is one of my favorites for this fall – dark florals! 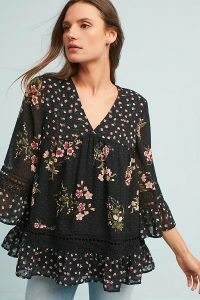 I love the femininity of florals but am not really a brights or pastels kind of girl so this trend is right up my alley. One of the first pieces I fell in love with was this retro inspired print by Kate Spade. I love the flattering fit and flare cut of the dress as well as the girly yet urban feel of the print. The top below is a slightly different Kate Spade print in the same color palette. 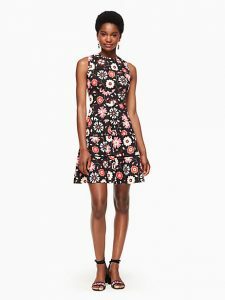 To see the full range of floral print products from Kate Spade, including handbags and workout wear, click here. 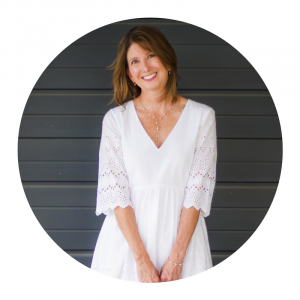 This Anthropologie piece has a bit more of a boho vibe. I love the idea of pairing this bell-sleeved top with cropped jeans and a short ankle boot. 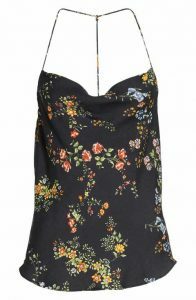 For a dark floral date night look, try this t-back camisole from ARRIVE. Cute with black skinny pants and a denim jacket. Think you might like to go a bit more all-in? 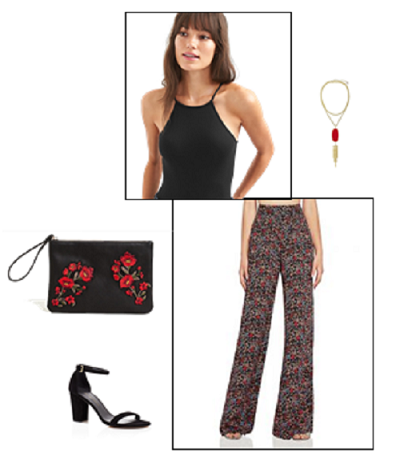 Try these BCBG palazzo pants paired with a fitted black tank or halter like this bodysuit version from Gap. The necklace is Kendra Scott and the clutch is bargain priced from Mango. Do you plan to wear dark florals this fall? 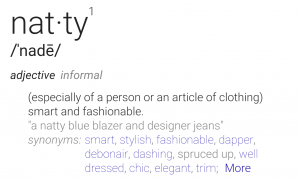 How will you style them? 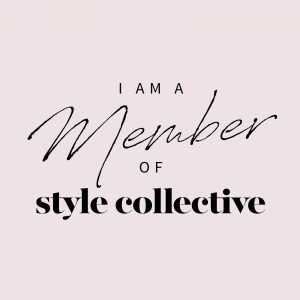 We are open to all blogging niches and would love to have you join us. 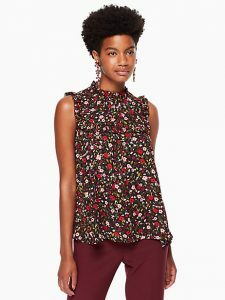 I love dark florals for fall! In fact, I have a few pieces that I picked up at the end of the winter season last year that I never got the chance to wear. Ooooh, they will be like brand new when the weather cools! Lucky you! Wish I had been smart enough to do that!